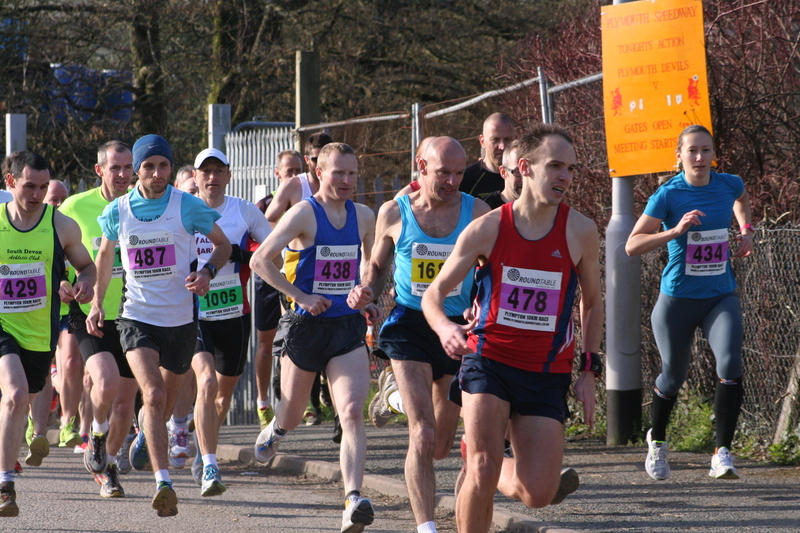 JAMES DENNE powered to victory in the Mad March Hare 10k race. The 29-year-old finished 53 seconds in front of second-placed Anthony Hatchard of Exmouth Harriers in the popular race organised by the Plymouth Round Table. Denne clocked 36 minutes and two seconds for the event that starts at Plymouth Devils’ St Boniface Arena and heads up through Saltram. Hatchard finished in 34.55, with Erme Valley Harriers’ veteran Andy Norris coming home in third in a time of 36.20. South Devon’s David Hampton (36.26) was fourth with over-50 veteran Alan Ryder of Plymouth Musketeers taking fifth in 36.36. The women’s event was dominated by South Devon AC athletes. Naomi Flanagan was first female and seventh finisher overall in a time of 39.09. Her team-mate Michelle Cowley was second female home in 40.38, with Anne King third in 46.11.